Who has got your Dad’s back this Father’s Day? 05 Jun Who has got your Dad’s back this Father’s Day? With Father’s Day approaching this month, it seems a good time to reflect on all the Dads out there and celebrate them for all they do. 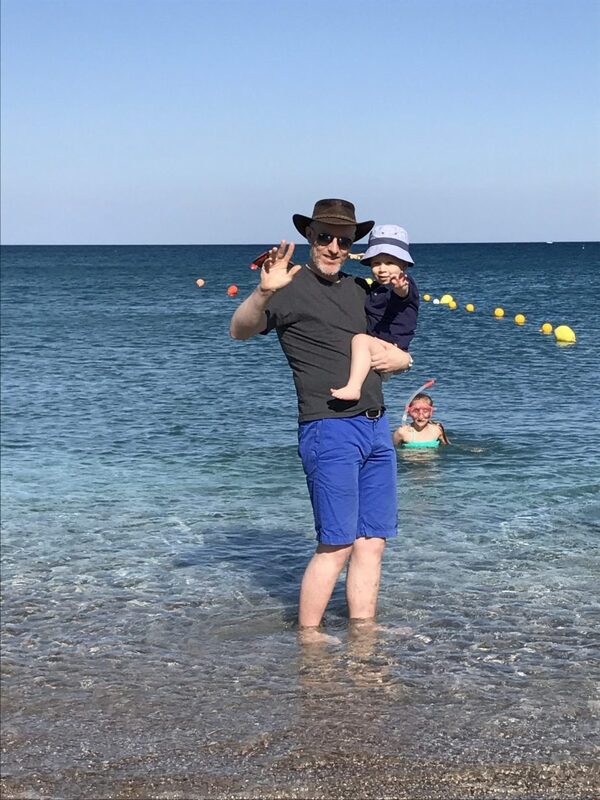 I consider myself incredibly fortunate to have a great Chiropractor as father to our son and the little baby we have on the way but sometimes he is so busy looking after everyone else that even he can forget to look after himself despite the advice he gives to all our practice members! I am sure this resonates with many families. Most Mums and Dads out there work so hard to have a happy and healthy family that they often put themselves last. We often speak about the 3 main stresses to the nervous system: the Physical, Chemical and Emotional. Running around after kids, playing football with them, teaching them to ride a bike, giving them piggy backs, mowing the lawn, cutting the hedge – you name it, all these things that Dads love to do can also cause stress to their nervous system particularly if they are not getting regularly checked by a Chiropractor. Getting outside and being active with kids is one of life’s greatest pleasures and no Dad would want to be held back from this by injury or aches and pains. Emotional stress is the most common type of stress that we all experience – the effects of which we frequently see in our practice. Being a Dad with young kids, a busy job, working hard to pay the bills and juggling family commitments as well as work pressures is a fact of life for many families. It is not realistic to suggest to people that they avoid emotional stress altogether but by ensuring the nervous system is functioning at its best, we can help the body to cope better with life’s challenges. Chemical stress is also hard to avoid. Eating the wrong foods can be a source of stress to the nervous system – a lot of us can have intolerances to food that we never even realised. We are currently running a no wheat challenge for 6 weeks in the practice to see how eliminating wheat benefits our health. Many Dads love to enjoy a few drinks to unwind but sometimes when we indulge too much, our nervous system can get affected and cause us tension. This month we are inviting all our practice members to nominate their Dad and say a few words about why they’re so special. Email your nomination through to contact@n8health.co.uk along with a photo before father’s day and we will pick the best nomination and that Dad will win a prize in the practice. We also invite all the Dads out there to come in and get checked by a Chiropractor if they are not already under care. If you know a Dad who needs to take better care of themselves then please let us know as we’d love to help them on their journey to achieve optimum health.